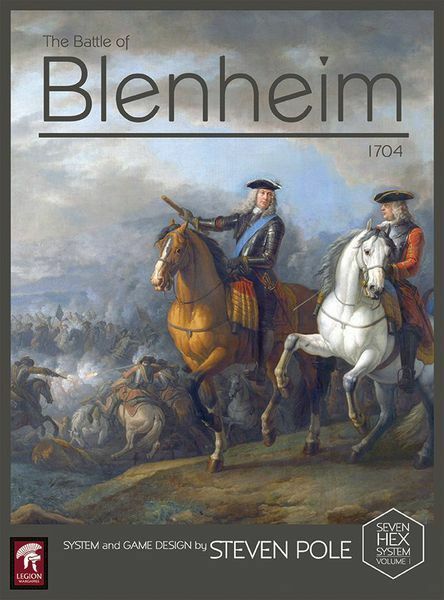 The Battle of Blenheim is a tactical level two player game covering one of the pivotal battles during the War of Spanish Succession. One player takes the role of Marlborough, commanding the British and Allied forces, and the other of Tallard, leading the Franco-Bavarians. At Blenheim Marlborough found himself confronting a superior Franco-Bavarian force in a strong defensive position. 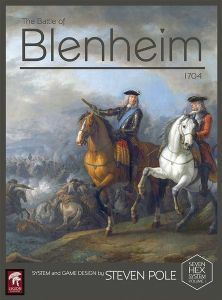 Like Hannibal's great victory at Cannae, Blenheim was won by the successful implementation of a bold and imaginative plan. The flanks of the Franco-Bavarian forces were pinned by furious attacks at unfavourable odds which denuded their centre of troops re-deployed to buttress the hard-pressed wings. Then Marlborough released his cavalry to smash what was left of Franco-Bavarian centre and cleave Tallard's army into two. The threat that Louis XIV's France would come to dominate Europe was over. The Seven Hex System (SHS) derives its name from the map which is divided into areas comprised of seven hexes which enables the player to adopt various positions within an area to reflect different tactical formations thereby making it more likely that an attack will succeed or defending units will stand firm. The SHS incorporates several unique features intended to replicate in a simple and intuitive way the options available to a commander (the wargamer) of a large army. So whilst the commander has complete freedom to devise a plan, and a good deal when positioning units which have yet to encounter the enemy, once battle is joined the options become increasingly limited and unforeseen events can play a part in determining the outcome of events but the commander can still influence these at a tactical level. The key to success is a sound plan with a margin for error which allows for ill-fortune, the shrewd deployment of units so as to be able to implement that plan, and the timely commitment of reserves.